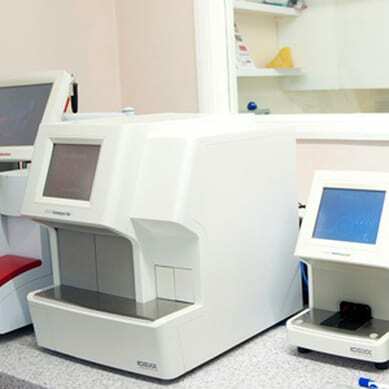 At Rutland Veterinary Centre we have a very well-equipped in-house laboratory, which enables us to provide same-day results of tests, so that diagnoses can be made for your pets quickly and efficiently. The range of in-house diagnostics tests include those for assessing blood and urine and for identifying hormone imbalances and skin infections. Ultrasound scanning – this provides a non-invasive method of imaging soft tissue structures within your pet’s body. It is also used for pregnancy diagnosis. Radiography (X-rays) – We can investigate and diagnose bone and joint disorders, and problems within the chest and abdomen. Blood pressure testing – This is useful in diagnosing/monitoring heart, kidney and thyroid conditions. Modern dentistry equipment – We have an up-to-date dental machine, which enables us to offer better dental care for your pet.